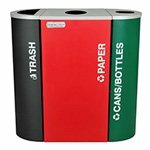 Keep costs low and make cleanup a breeze by installing color-coded waste and recycling containers near restrooms, bleachers and concession stands. 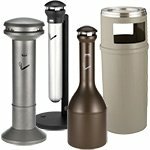 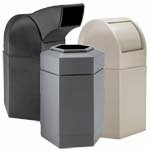 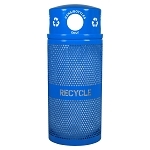 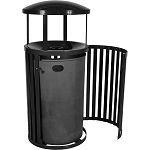 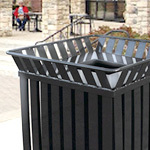 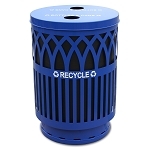 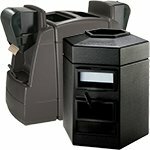 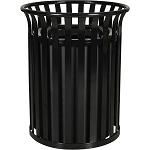 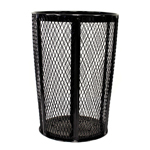 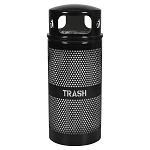 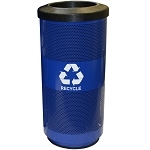 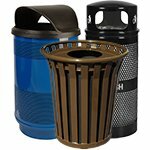 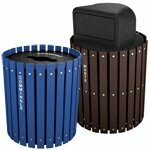 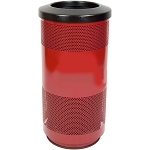 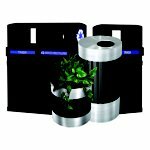 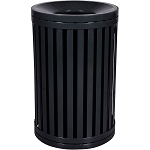 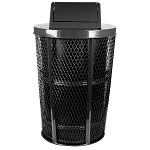 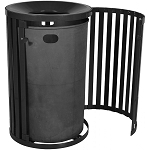 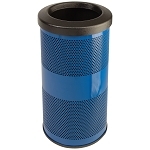 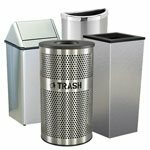 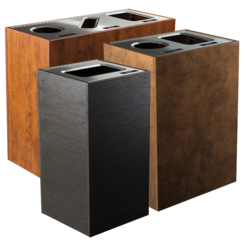 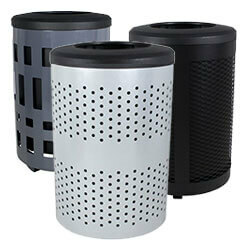 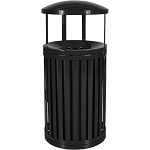 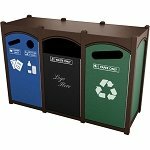 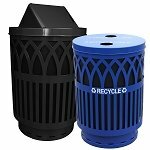 Don’t forget about parking lot trash cans! 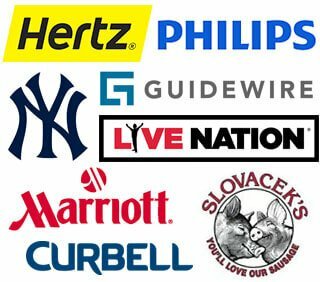 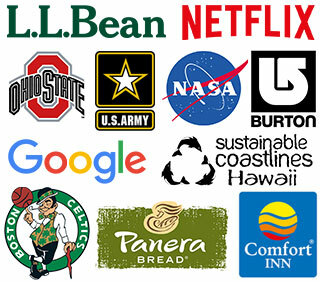 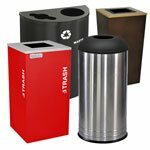 You can show pride in your team by putting your team logo on our stadium trash cans, or even get your waste and recycling containers paid for by a corporate sponsor in exchange for putting their logo on the containers. 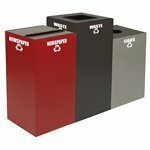 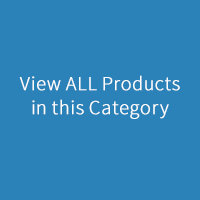 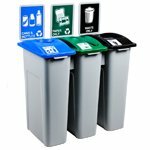 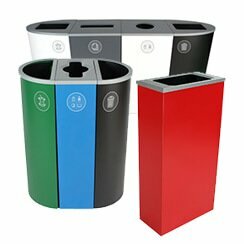 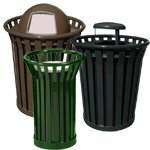 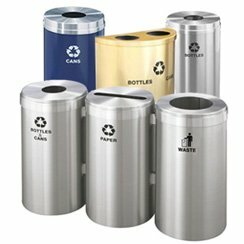 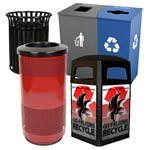 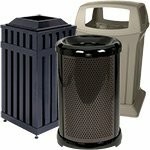 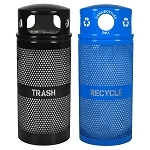 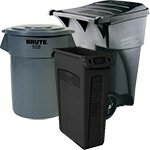 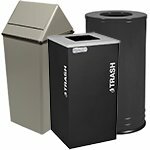 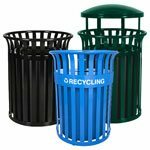 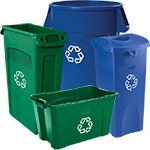 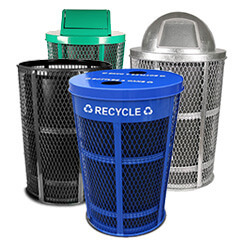 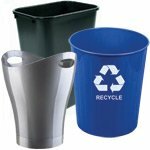 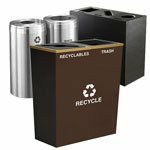 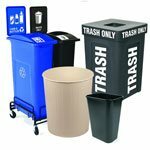 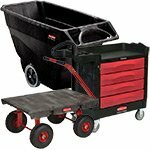 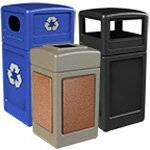 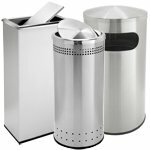 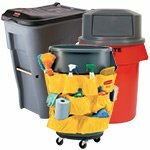 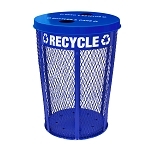 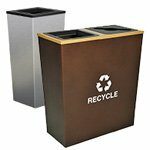 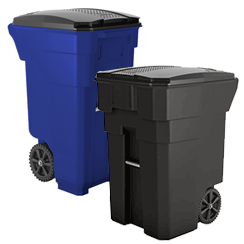 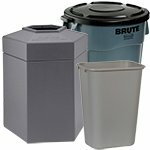 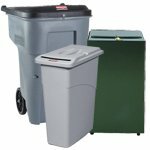 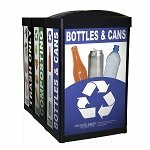 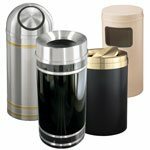 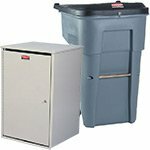 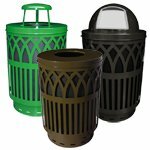 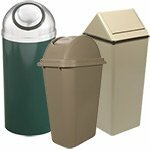 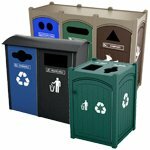 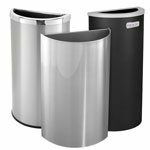 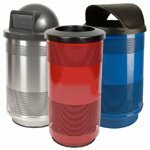 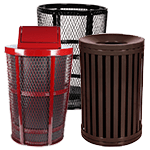 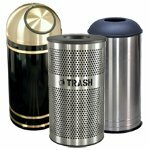 Either way, you'll be cutting costs and saving time with these brightly-colored, highly-visible plastic and metal trash containers.